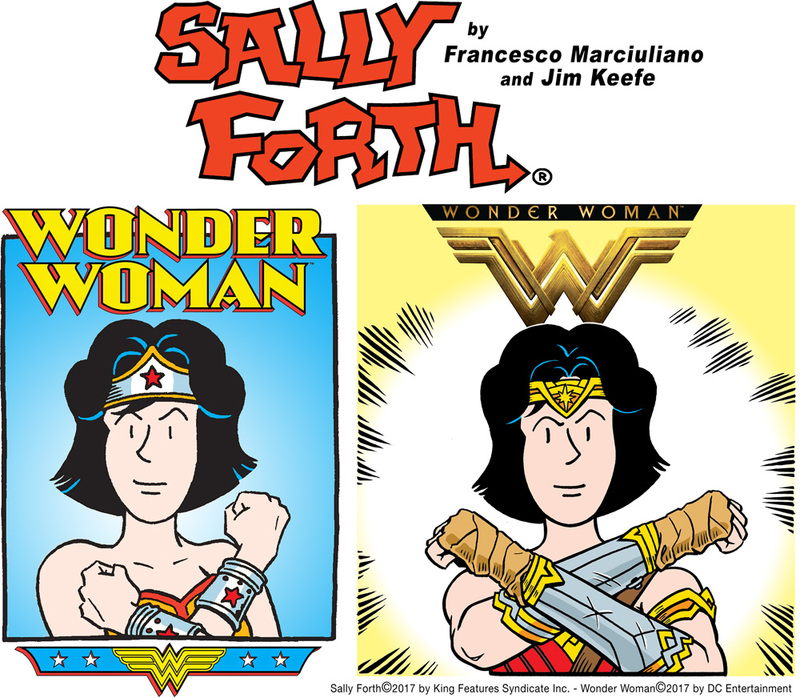 With the San Diego Comic Con coming up this weekend, Sally is deciding between the 1970s or 2017 version of her favorite character. This entry was posted in Ramblings & Reviews, Sally Forth and tagged San Diego Comic-Con. Bookmark the permalink.